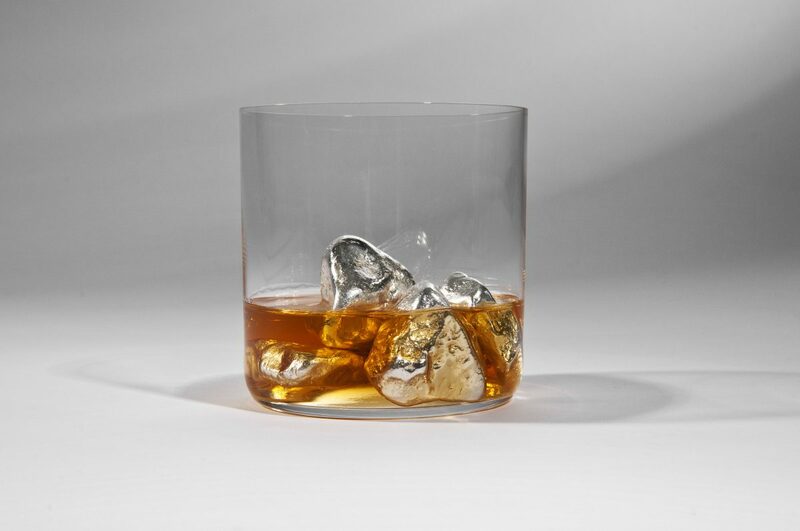 Crystal tumbler with removable Sterling Silver mountain. Mountain can be filled with water and placed in the freezer to cool the whisky without watering it down. 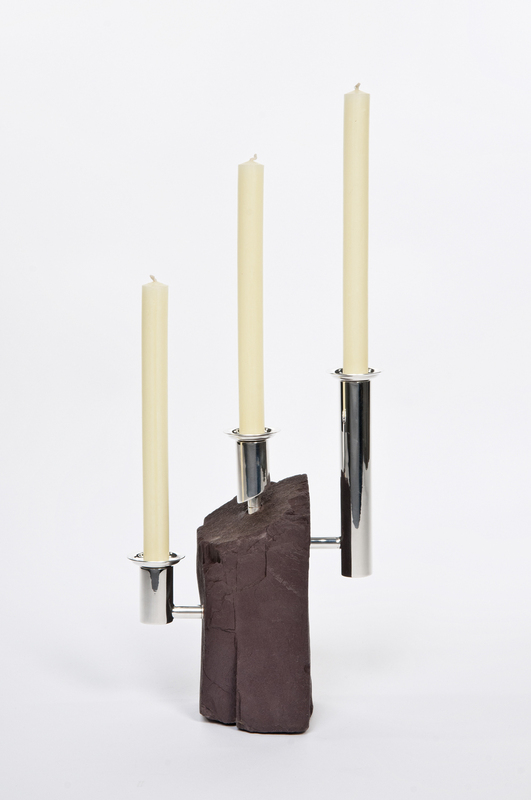 Welsh slate candelabras, sourced from the slate mines near Mount Snowdon. Drip pans are removable for easy cleaning and interchangeable candle/flower holder. 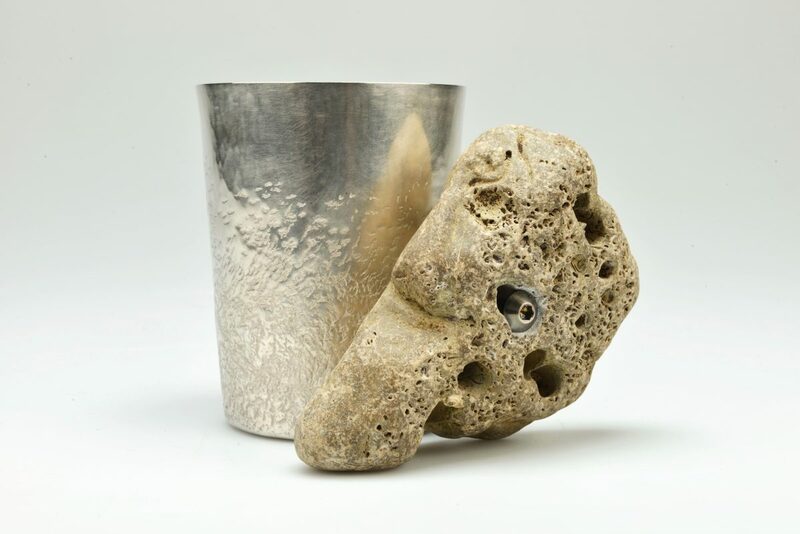 Hand raised Britannia silver vessel, textured with its own individual rock hammer for unique markings. Real rock attachment acts as the handle. I graduated in 2015 after studying Ba Hons in Jewellery and Metalwork , I’m currently on a silversmithing starter studio at the Yorkshire Artspace in Sheffield where I receive mentoring and business support. 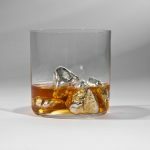 Having taken a placement at a silversmithing company in Sheffield I was able to learn the traditional basics and apply this knowledge to create unique designs. 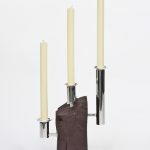 I use varying techniques in my metalwork such as lathing, hand raising, spinning, scoring, folding and electorforming. 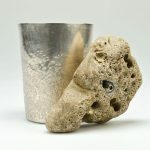 My silverware is primarily based around rock with the aim to accentuate the difference between the sleek man-made and natural form. How to contact Victoria Radcliffe.